Bring Pure Lighting Excitement to any party with the ADJ An-Motion laser. This laser produces 36 dynamic patterns and 22 static effects in red and green. Like the other ADJ Lasers, the Ani-Motion has a compact case with a scissor yoke and includes a UC Laser IR wireless remote control. Considering purchasing the American DJ ANI-MOTION Laser? Have questions? Ask people who've recently bought one. Do you own the American DJ ANI-MOTION Laser? Why not write a review based on your experience with it. 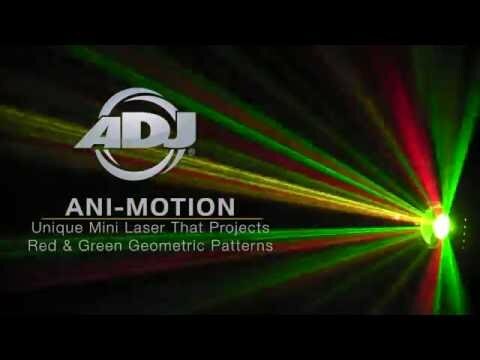 Seen a video for American DJ ANI-MOTION Laser online or have you own video? 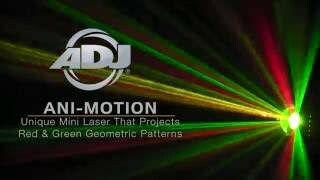 Check out American DJ ANI-MOTION Laser on DJkit.com!